Hybridization ovens can vary in their temperature range over time. The quality of the experiments are related to the target temperature and the deviation from this temperature. The measurement, verification and adjustment of the hybridization temperature is very important. In most laboratories this is not covered by service contracts. AlphaMetrix makes it easy to perform this test using the VeriOven Datalogger Kit. The engine is the compact, innovative temperature data logger compliant with the Agilent hybridization oven Calibration procedure. 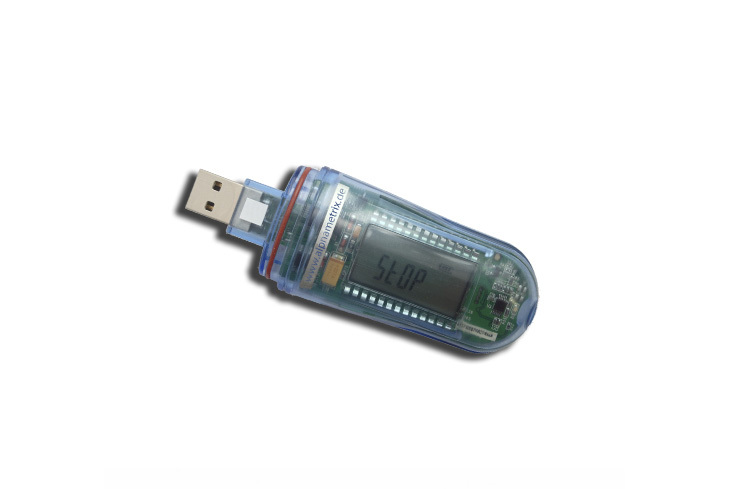 The VeriOven Datalogger can directly connect via USB to the computer, as well as display data on the build in numeric screen. The stored data can be downloaded and reviewed. The VeriOven Datalogger is dust and waterproof and tested to meet highest laboratory standards. The length, composition and sequence of the probes. Whether the assay is solution based or solid phase. The hybridization and wash buffer compositions. The temperature of the hybridization.